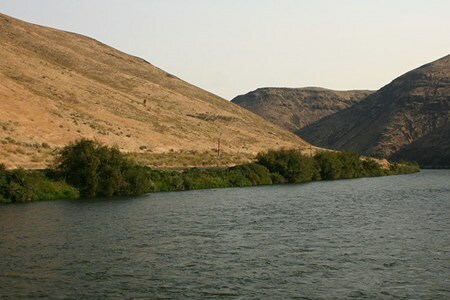 The Yakima River is located on the eastern “dry side” of the Cascade mountains in Central Washington. With over 75 miles of prime, diverse trout water in the Blue Ribbon section of the Yakima and one of the longest dry fly seasons in the West, March through mid-November, the Yakima River is the top fly fishing destination for wild trout in Washington. 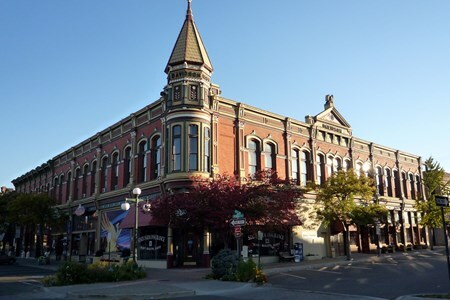 Centrally located just east of the Cascade Mountains, Ellensburg is surrounded by several great trout filled rivers, making it an ideal place to stay. 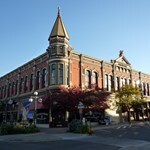 Considered by many to be the ... morefinest fishery in the state, the 214-mile long Yakima, curves around the town’s southern border, adding to Ellensburg’s historic charm. 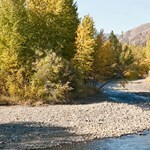 Another top choice is the 80-mile Methow River, known both for its ample fish and exceptional beauty. 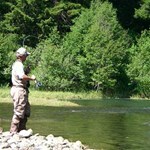 Excellent fishing can be found on this river within a two-hour drive from town. 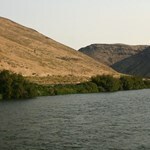 In close proximity to town, the 75-mile long Naches River is about a half-hour drive. Most of the Naches river basin is located in scenic national forest and wilderness areas, including the renowned Wenatchee National Forest. 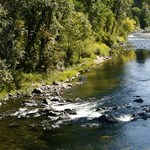 Often referred to as the “Miracle Mile” of small waters, The Rocky Ford Creek, about an hour from Ellensburg, is best known for its numerous and sizeable rainbow trout. 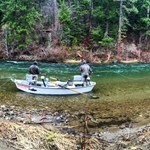 Considered by anglers to be a challenging stream, it is also ranked as one of the best trout rivers in the entire Northwest. 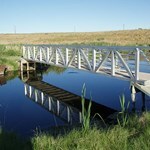 While Ellensburg is not thought of as a town exclusively dedicated to anglers, it does have much to offer including 4 well stocked fly shops with knowledgeable owners. What it lacks in numbers (population 18,000) it makes up for with its historic buildings, a major University and a large choice of things to do. If you are with family members or others that don’t care to fish, there are opportunities to go biking on and off road, white water rafting, horse back riding and hiking. Despite its small size, the town has an active arts community with galleries, museums and theaters. Finally, there are events like the Winterhop Brewfest, featuring local microbreweries, Buskers & Burg, a fall celebration with giant puppets, and a highly regarded, large-purse, Labor Day rodeo. 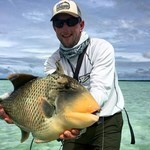 Summer is peak fishing time with a high concentration of anglers. 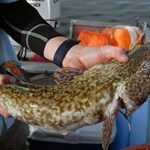 The spring and fall seasons remain busy while only a few die-hard choose the winter months. There are several options for traveling to Ellensburg. 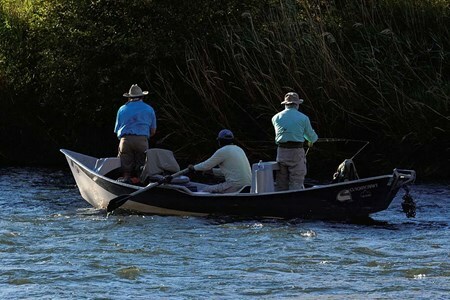 Yakima River Angler has been guiding fly fishers of all skill levels since 2000. 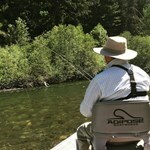 Our full time professional guides are knowledgeable, hard working, friendly and patient, with a combined ... more40+ years guiding on the Yakima River, Rocky Ford Creek and a variety of other Washington fly fishing waters. Whether a seasoned veteran or a first time fly fisher, we are dedicated to making your experience an enjoyable one while helping you become a better angler. 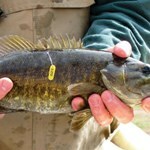 If you are going to fish, the 12 noon to 3 PM time frame is the window.....March Browns are hatching and over the years in this situation we have been able to find some rising fish during the hatch. Prior and post hatch is difficult. We will keep you updated as conditions become more favorable. 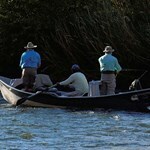 Payment directly with Yakima River Float Trip.